In the less than five months since the TriMet Tickets mobile ticketing app first popped up on smartphones, TriMet riders have purchased more than half a million mobile tickets. 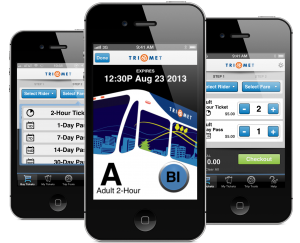 The free TriMet Tickets app has been downloaded more than 60,000 times since we launched it in early September. The app allows you to buy fares right on your smartphone – anywhere, anytime. The mobile tickets are then stored in your phone for use with a few taps of the screen. 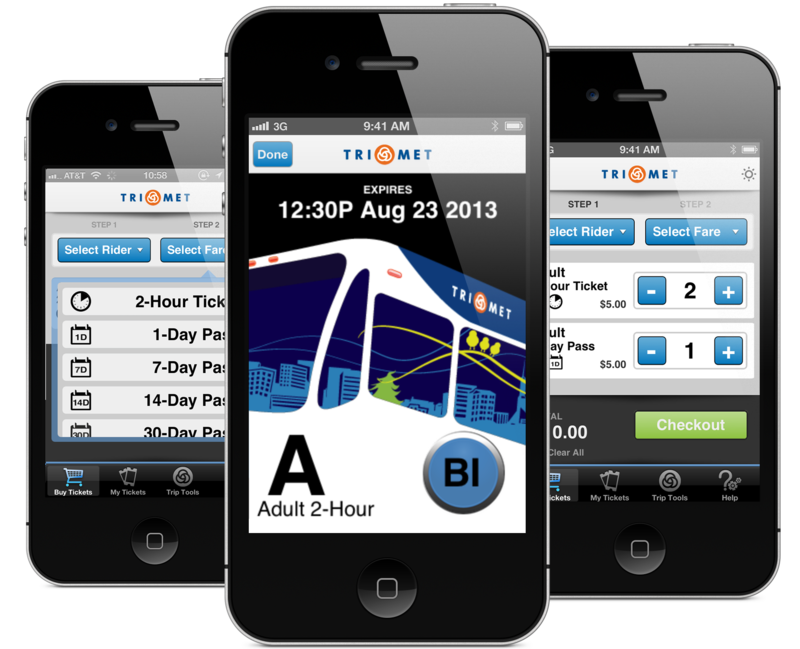 With the app, TriMet riders became the first in the country to use a mobile ticket to ride both buses and trains. Haven’t tried it out yet? It’s easy! Go to trimet.org/mobiletickets to learn more. WES Commuter Rail ridership set a new record this past quarter, September through November, with weekly ridership jumping 17 percent compared to the same time period in 2012. WES averaged 2,090 rides per weekday reaching a total of 131,620 rides for the quarter. Overall, ridership dipped 3.2 percent system-wide to roughly 24.3 million rides in the last quarter. Weekday bus ridership was down 3.6 percent to approximately 193,500 riders per day, and MAX ridership was down 2.6 percent to approximately 118,000 rides per weekday, compared to the same period in 2012. Ridership data for December is looking up with weekly MAX ridership up 3.1 percent and system-wide ridership up 1.2 percent. Peak ridership in December was up on both bus and rail. Weekly bus ridership is down only 2 percent, which is slightly better than previous months. The major change we have seen on the bus side is the reduction of short trips and a loss of weekend ridership. WES ridership for December continues reach new milestones with weekly ridership up nearly 20 percent. The December data will be reflected in the winter 2013 ridership statistics, due out in March. The agency projected a decline in ridership due to the September 2012 elimination of all zones, including the Free Rail Zone, and the increase in the ticket prices.